No:3, Senthamaraikannan Road,Venkatesawara Nagar, KottivakkamChennai. Leto ActiveBusiness solutions are generally accepted world class software solutions. Completely browser based independent responsive solutions make your business easier in all the ways with professional manner. Office 47 | 1st Floor | Prestige Point Tower | Haddows Road Nungambakkam | Nearchennai. 503, 5th Floor Rectangle 1, D4, Saket District Center, New DelhiNew Delhi. 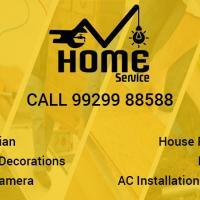 14 Gajera Circle, Main Road, KatargamSurat. 71/1, Shivaji Marg, Najafgarh RoadNew Delhi. First Floor, Plot No 94, Sector-44Gurgaon. Plot No. 580, Phase 9, Industrial Area, Sector 66, Mohali, Punjab 160062Mohali. B 44, Sector 57, Noida, National Capital Regionnew delhi. #07,4th cross, Anjanappa layout, Magadi road, G.Hosahalli Main road Gollarahatti, viswaneedam post, Kempegowdanagar, Byadarahalli, 560091Bengaluru. Shop No.1 Snatan Dharam Mandir East laxmi nagar market delhi 110092Delhi. 145-A, Hazaribag rd, opp. , Yogada Ashram, Gungutoli, Kanka, Ranchi, JharkhandRanchi. RouteTracko is the best portal that providing gps tracking services and gps tracking devices at very affordable price. We provide gps vehicle tracking system, car gps tracker, personal gps tracker, school bus tracker and gps real time tracking devices. Wz-B/8 (2nd Floor),Old Pankha Road,Ram Dutt Enclave, Uttam Nagar New Delhi, Delhi 110059Delhi. Get Inspect your vehicle with Eco Inspection, we are India based leading Automobile inspection agency which offers door to door Vehicle inspection services with affordable price. Our expert mechanic goes to door to door as per inspection requirement. 40A/5, Chandan Nagar, Sector 15, Part 2,Gurgaon. 23/7, Mathura Rd, Ballabhgarh, Faridabad, Haryana 121004Faridabad. Ryoking VEMOS a short form of Vehicle Monitoring System, is an advanced and user friendly version of GPS Tracking System or Vehicle Tracking System as known commonly. All the Indian cars, bikes, trucks and buses are supported by this GPS tracking System. Bhamashah Techo Hub, Behind Kendriya Vidyalaya No 3, Jhalana DoongriJaipur. 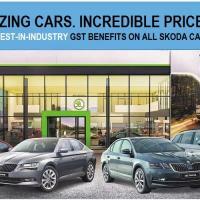 Car Assist is Car Service Centre Pune providing car servicing, car inspection, car polishing, paint and dent repair with trained car mechanic from Pune. B9, Gulmarg Housing Society, Mohan Nagar, Near Bitwise, Baner, Punepune.